"Slow Boat Home" actor Raymond Wong shares Sheren Tang's recent woes about the piecemeal scripts in TVB, but expressed that it is a sad truth that all TVB artistes should have already accepted. As reported on Jayne Stars, the actor stated, "TVB's system of handing scripts to their artistes at the last minute is a problem that could eventually result in bad acting, but this has been an issue for a long time." 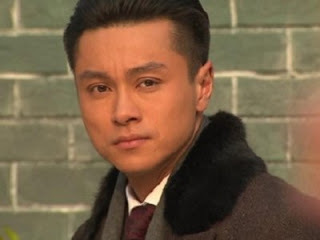 Raymond expressed that life as a TVB actor is never easy, as not only do they have to memorize long scripts, they are also lacking in rest and sleep, resulting in mood disorders. In the end, the end product is a bad and tired performance on television. But he added, "It has always been like this in TVB. It is indeed hard work. So if you want a more comfortable life and capable of doing so, then head to China! You can even get a good eight hours of sleep every night. If you want to stay [in TVB], then you can only accept the system." The actor also hinted that with the birth of his baby, his financial burden has increased, thus taking up mainland projects is a better prospect. "But I also intend to take a break after every 5 months of filming so that I can spend more time with my family. Eventually we need to find a balance in life. Work should not take up our whole life. Our family should be the most important."